When I got my book deal, I immediately texted my husband to tell him the good news. Naturally, he was over the moon for me. Messages flew between us with the final one, from him, saying he’d bought me a gift to celebrate. His words made my heart melt. How lovely of him to be so considerate and supportive. I waited anxiously for him to come home, wondering what it could be. I’d been eyeing a Michael Kors wristwatch in the shop window for quite some time. But no, that was too expensive. Maybe it’s a perfume, I thought, or a lovely bottle of something sparkling for us to celebrate with. When he finally walked through the door with a huge whiteboard under his arm, I must admit, I was a little underwhelmed. Hmm…I thought, not quite romantic. But I was wrong to think this because it was a very romantic gesture. It proved that he listens to me and cares about my craft. Why? Because I’m a planner, not a panster. I envy authors who start with a blank page and go on to write brilliant novels without any sort of preparation because I can’t get excited about a story until I know the ending. I’ve always been like this, even with my short stories. Once I know what’s happening, created my cast and worked out the plot, then, and only then, will the words flow. Admittedly, the novel does often change as the story unfolds, but I generally stick to the original plan, editing as I go along. I usually finish a book in three drafts. But while I used to scribble everything down in notebooks, on post-its and on scraps of paper, I now use my whiteboard, and everything is in one neat place. How amazing is that? I still use notepads and scraps of paper because it’s just a writer thing, but my main story is drafted on the whiteboard, chapter by chapter, scene by scene, which includes dates and times. It rests against the wall behind my desk. So whenever I’m unsure about anything, instead of rummaging through draws looking for sheets of paper etc., I simply spin round on my chair and voila, the information I need is right there in front of me. I used it religiously as I penned my second novel, No Way Back, published on 21st September 2017 by Urbane Publications. I then wiped it clean and used it again to draft the sequel. And I hope to get lots more use out of it in the future! Many people ask me where I get my inspiration from when I’m writing my novels. Inspiration comes in many forms, but personally I find listening to music while I’m out running a great source, especially on lovely warm, sunny days. But even when I’m pounding away on the treadmill at the gym (okay, huffing and puffing as close to the air-con vent as possible), I’m always listening to music and often thinking about my WIP – the protagonist, the cast, the chapter I’m working on. Some of these melodies help me to create a vivid picture in my mind about the characters and their lives, the scenes, the highs and the lows, the cliff-hangers. Yes, music is a very powerful source. With this in mind, I decided to create a compilation on Spotify of some of the songs that represent my second novel, NO WAY BACK. Several of the tracks on this collection are songs that I listened to while I was working on the book, some of which moved me to the core. In fact, two of them made me cry. They still do! A few of the tracks are mentioned in the story, such as Dancing Queen by Abba and Shape of You by Ed Sheeran. And some simply embody the story in a way that takes the characters and their lives beyond the pages of the book. I’m sure you’ve guessed why Red High Heels by Kellie Pickler is on the playlist just by looking at the cover, and the blurb might explain why Want You Back by HAIM is on there, too. But you might be baffled by the inclusion of Zorba the Greek. I won’t spoil it for you but the story starts in Cyprus, and when you read the first chapter you’ll realise why this particular track is so significant to the story and why it has centre stage on my playlist. So, without further ado, here’s NO WAY BACK, the book soundtrack. You can listen to it on Spotify for free but you will have an ad popping up every half hour, and you can’t download this or any other playlist onto your phone or computer unless you’re a paying subscriber. I hope you enjoy the songs on my literature inspired playlist and that they give you an insight into the story and the characters in my novel. And always feel my pain…. as I guide you gently to the light…. I have your back; I’m on your side. Favourite drink? Ah, we’ve started off with my favourite question. I usually drink dry white wine, especially when I’m out with my friends Tina and Louise. But I’d say champagne is my favourite. We all love a glass or three of Veuve Clicquot. Last film you saw? I’m not much of a film lover but Nick, my ex, was a bit of a fanatic. His idea of fun was a Saturday night in with a takeaway, a few beers and something on Netflix. I think the last film I saw was with him. A thriller. Can’t remember what it was called now…erm…the book that was made into a film. Nicole Kidman was in it, I like her. Before I Go to Sleep. It was pretty good. Favourite food? Does M&S heated up food count? I’m not the best cook in the world. I’ve got Pizza Hut delivery on speed dial. Last T.V. show you watched? Corrie. I’m a big fan. I never miss an episode and always record it if I’m out. Favourite colour? Red! It’s vibrant and passionate and daring. Are you in love? I’m not answering that! Last CD you listened to? Divide by Ed Sheeran. Went to see him live with Louise at Wembley. Jess, her daughter, wrangled two tickets for us from someone she knows from Uni. They weren’t cheap but definitely worth every penny. Ed reminds me a bit of Ronan, actually, Nick’s cousin and Tina’s ex. I don’t know why because he doesn’t really look like him. Maybe it’s the red hair and cheeky grin. Favourite time of day? Definitely not a morning person and can be a bit grouchy first thing. I tend to perk up early afternoon, which is the best time to contact me if you want anything doing. I’m a night owl, often staying up way past midnight, even on a weekday when I know I’ve got to be up for work at 6. Last country you visited? Cyprus. My parents love it there and rent a flat for weeks on end. I stayed with them recently. I wouldn’t say it was a holiday exactly. In fact, the less said about that trip the better. Favourite item of clothing? Do shoes count? I’ve got over two hundred pairs and my collection is growing. I’m a shoeaholic, and have been known to spend an entire weeks’ salary on a pair. Designer, obvs. If you could own any car in the world, what would it be? I drive a VW Golf. I’m not crazy about cars, just as long as it’s reliable and gets me from A to B. But if money were no object then I think I’d go for one of the classics – a Mercedes 500 SL convertible would look pretty cool parked outside my flat on Dukes Avenue, Muswell Hill. In red! NOW WAY BACK publishes on 21st September 2017. You can order a copy here. Audrey Fox has been dumped by her unreliable fiancé Nick Byrne just days before the wedding. 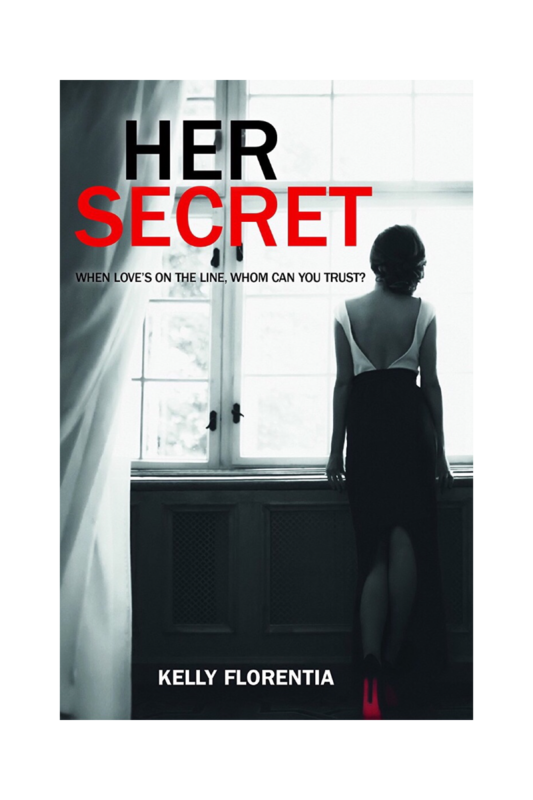 Heartbroken and confused, the last thing she expects when she jumps on a plane to convalesce in Cyprus is romance. But a chance meeting with handsome entrepreneur and father-of-one Daniel Taylor weaves her into a dating game she’s not sure she’s ready for. Audrey’s life is thrown into further turmoil when she discovers on her return to London that Nick has been involved in a serious motorcycle accident that’s left him in intensive care. Distraught yet determined to look to the future, Audrey must make a decision – follow her heart or listen to well-meaning advice from family and friends? Because sometimes, no matter what, it’s the people that we love who can hurt us the most.